Garlic does save you from vampires! The stories tell us that garlic is one of the best ways you can scare away vampires. Strange as it may seem there is a sound truth to this! Garlic is a powerful medicine that has been used for thousands of years to fend off attacks in the physical and metaphysical realms, otherwise known to our ancestors as ‘vampires’. Garlic in our blood has the power to stop our bodies being invaded by illness, our life force being drained and in many cases can prolong life. The benefits of garlic are documented as early as 1500BC Egypt where it was well known and given to slaves to keep them fit and healthy. We know how strong they were, they were the builders of the pyramids! There are hundreds of indications for garlic in the Egyptian Medical Papyrus including for throat infections and physical weakness. There is a whole library dedicated to it’s benefits from around the world with even a well known account of it being taken to prevent the Black Death. Garlic is a noted ingredient in Four Theives Vinegar which was named after the naughty theives who saved themselves from the plague by taking the medicine. More recently, it was used in both world wars to treat typhoid and TB and to clean septic wounds. So what is the best way to take this medicinal plant to benefit us in our everyday modern life? Most of us think of adding garlic to our food such as bread, pasta sauces and curries but there are other ways to absorb it. Applying garlic to the skin is an excellent way to get it into the body if eating it is not possible. I’ve mixed a few cloves of garlic with a bowl of porridge and applied it to the feet for treating a digestive infection when the stomach wasn’t able to keep it down. It can feel a bit squishy but the porridge acts as a medium and stops the garlic burning the skin. It doesn’t take long to be absorbed into the blood and after a few minutes it can be smelt on the breath which is pretty impressive! There’s no doubt it has a strong odour which attracts some and repels others (maybe human vampires too!) As a wise herbal teacher said “if your friends don’t like the smell of garlic, better get some new friends!” It is true if you’ve had garlic yourself it’s not so smelly to be around someone else that’s had some. Recently, garlic pills have been popular as a preventative and treatment for cardio vascular disease. Garlic is definitely an extremely helpful medicine for its ability to reduce cholesterol, improve the circulation and treat high blood pressure. It does reduce blood lipids and opens up the blood vessels which promotes healthy circulation and overtime can have miraculous results. A crushed clove or two of fresh, organic, raw garlic added to your food everyday is the best way to take it. It’s purest form has the most life force and I would recommend you stick to that and avoid standardised extracts of garlic which are nowhere near as effective. Because it does thin the blood, be aware of this if you are already on other forms of blood thinning medication. 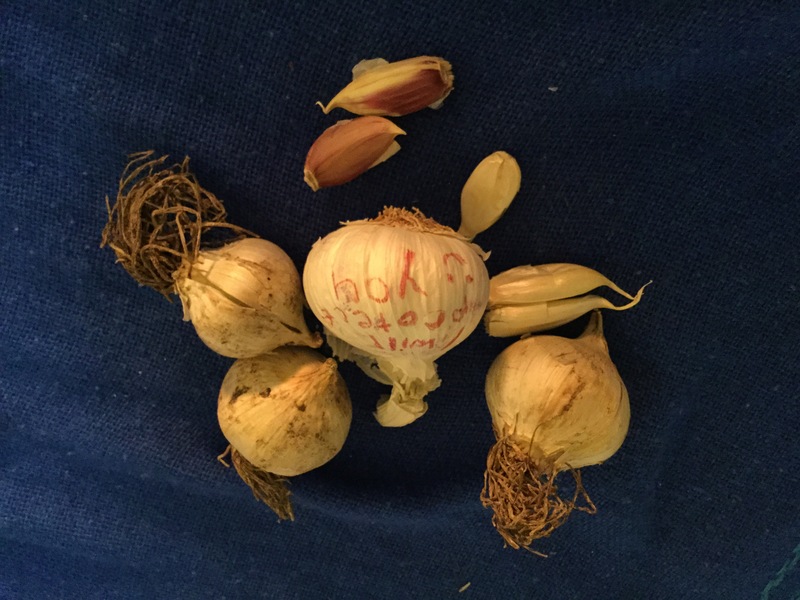 As well as preventing and treating cardiovascular disease, garlic also prevents and fights infections (bacterial, viral, fungal) and can support the immune system. It is excreted through our four areas of elimination (digestive, respiratory, urinary and skin) and disinfects these areas as it leaves. Countries like India and China have it in their foods as a basic ingredient for this reason and is great to have in your diet in the winter months when colds and flu are making the rounds. Now you are aware of some of the great powers of this humble herb, you can make more use of it and enjoy the many health benefits it has to offer. Vampires beware!